While U.S. oil production has begun expanding – so much so that the International Energy Agency predicts that by 2016 the US will surpass Saudi Arabia and Russia – the rest of the world’s oil production has ceased to expand. While U.S. oil production has begun expanding – so much so that the International Energy Agency predicts that by 2016 the US will surpass Saudi Arabia and Russia – the rest of the world’s oil production has ceased to expand. In an effort to streamline and optimize oil and gas production methods, advances in instrumentation, process automation, collaboration, and data management are being developed. Apache Hadoop stores large amounts of data (both machine and human generated), helping companies produce and deliver oil and gas more quickly, in larger amounts, and at lower cost. 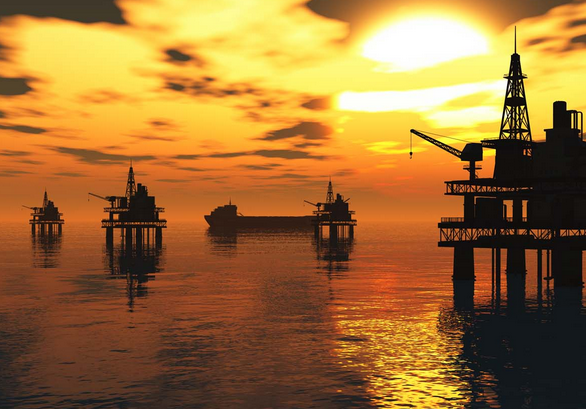 Below are specific use cases for Hadoop in the oil and gas industry. When identifying and choosing potential oil deposits and potential drill sites with seismic monitors and other equipment, large amounts of generated data require a capable platform for storage and processing. This information is useful when searching for, preparing, and making decisions about drilling sites, as it has direct impact on drill success, safety, and costs. Hadoop can be used as an enterprise data hub (EDH) for storing and processing seismic data, well data, industry news, weather, soil, and equipment data, and is a more cost-effective solution than traditional legacy systems. More goes into oil production than simply drilling where there’s oil until it’s gone. Oil production is forecasted, seismic data is collected, and oil lifting methods are implemented. Sometimes methods are altered to increase yield and meet the determined forecast. Hadoop can help production engineers use the seismic, drilling, and production data to optimize output. In order to prevent worker injury, system failures, and other safety or efficiency issues due to mechanical failure, sensory data from equipment is stored, monitored, and analyzed in Hadoop in real time. By detecting existing or potential equipment failure or drilling errors, it is possible to optimize machine usage and place the equipment in its best-suited environment, and make any necessary repairs as soon as possible. This means that equipment runs well and produces high yields while keeping costs low and engineers and workers safe. Oil companies need to be able to accurately predict oil availability and reserves before they invest resources into drilling. By integrating real-time data into mechanical earth models, they are able to process and analyze the information stored on Hadoop, and develop safer and more sustainable drilling methods. Using Hadoop to analyze mechanical and drilling data has prevented both safety incidents and environmental issues. For example, without testing whether or not an oil reserve actually has the oil availability necessary to drill, a company could cause major damage to the environment in which they drill. By observing patterns in data stored in Hadoop, companies are able to predict and prevent damage to machinery, environment, and people, thus saving money and resources. Oil drilling sites can be a particularly dangerous place, made even more dangerous by the macro- economic environment surrounding fuel sources. Part of upholding the safety of worksites is being able to detect threats to security – either cyber or physical. Hadoop’s machine learning software and anomaly detection techniques help reduce the likelihood of any incidents endangering personnel, equipment, or property. Hadoop’s comprehensive data storage and processing power allows oil and gas companies the ability to perform anomaly detection, platform synchronization, and pattern analysis to minimize errors, streamline safety protocol, make data from multiple platforms more accessible, and allow equipment to be used properly and most efficiency. Big data technology has been a helpful tool in making oil drilling and production procedures more efficient, safe, and has resulted in a significant increase in US production. This not only helps our national economy more sustainable, but it helps decrease dependence on other nations for gas and oil. As more data is collected, more patterns are determined, the oil pulling process improves and the rate increases resulting in the US becoming more self-reliant and sustaining. This will reduce tax dollars and funds spent on importing gas and oil. To learn more about how Hadoop can help you, download the free ebook: The Executive’s Guide to Big Data and Apache Hadoop.